According 10 the geological relationsh ips in the region of Pozeskagora MI. 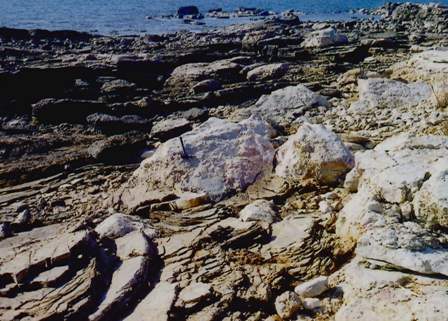 (the southern margin of the Pannonian Basin, nOrlhernCroatia), basic eruptive rocks are considered to be of Upper Cretaceous- Palaeogene age. Detailed petrographic examination, based onphysiographic descri ption, the chemical composition of major andtrace elements, rare earth elements and stable isotopes, indicates that(hese primary tholei it ic basalts have variable structural-textural characteristics, and were postmagmatically affected by metamorphicprocesses. Tholeiitic basalts originated from the upper mantle, andwere placed in the form of subaquatic effusions in the extensionalzones within continental crust.